So you’ve spent all day (and maybe even all weekend too) dipping into the office Halloween candy, enjoying the treats that everyone has brought to share, helping your kiddos “sort” their goodies and perhaps even imbibing a bit too much….I mean who doesn’t love a wine & chili night for the adults while the little ones are trick-or-treating? It happens to all of us. We get into the spirit and fun of the season, coupled with the cooler temps and fall air— the next thing you know, it’s time for a detox. 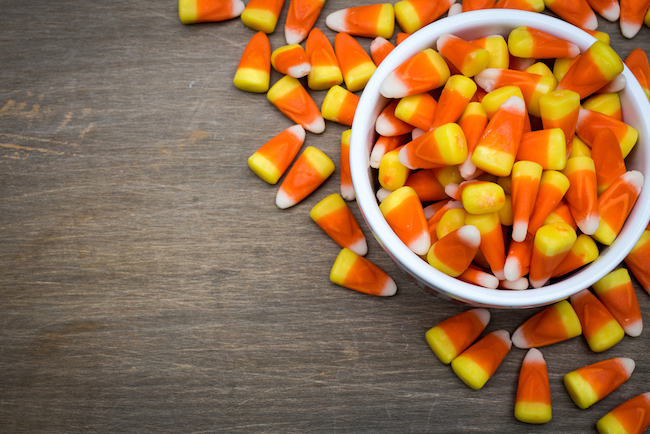 No matter how much fun you had on Halloween, there are ways to make a comeback and quick! Keep reading for my thoughts on how to recover from a bit of over-indulging. Fill your body with all things good. This means lots of lean proteins and leafy greens. Trust me on this one – your body will thank you. Put the sugar away and start the day off with a healthy breakfast of hard-boiled eggs, sautéed veggies and maybe even a healthy fat like avocado. Spend the rest of the day focused on the same type of meals. A big green salad for lunch with chicken breast and nuts, lean fish and veggies for dinner. You’ll wake up the next day feeling great. Hydrate. Hydrate. Hydrate. There isn’t enough water! Drink up and even add some sliced lemons to aid in the detox (it will taste great too). Skip the salt for a day. Try going salt-free all day long. See how you like it and see how you feel the following day. You’ll probably feel super lean and light on your feet by flushing your body. You leave that bloated feeling behind and will be ready to take on the rest of the week. Sweat it out. Exercise isn’t only good for the soul; it’s great for flushing your body of toxins and resetting your whole self. There’s nothing like a good sweat sesh to release you from the guilt of candy and wine binge. Try getting your cardio on with a fast-paced run or try a spin class at the gym. The more you sweat, the better you’ll feel! Load up on fiber. This is another great option for helping to flush the system of toxins in the body and will help ensure that everything is functioning at peak performance. Cantaloupe, broccoli, kale, apples, raw almonds are all great options for fueling your body with fiber. Get some sleep. If you were having a great time, chances are you probably stayed up a little too late and skimped on sleep. You have to reset the balance and give yourself time to recover from lack of sleep and the only way to do that? By actually getting the sleep your body needs. Go to bed early tonight and if you can’t fall asleep right away, calm your mind with an easy meditation. Did you over-indulge this Halloween or did you manage to keep it all in check? Which one of these tips is the best way for you to get back on track today?